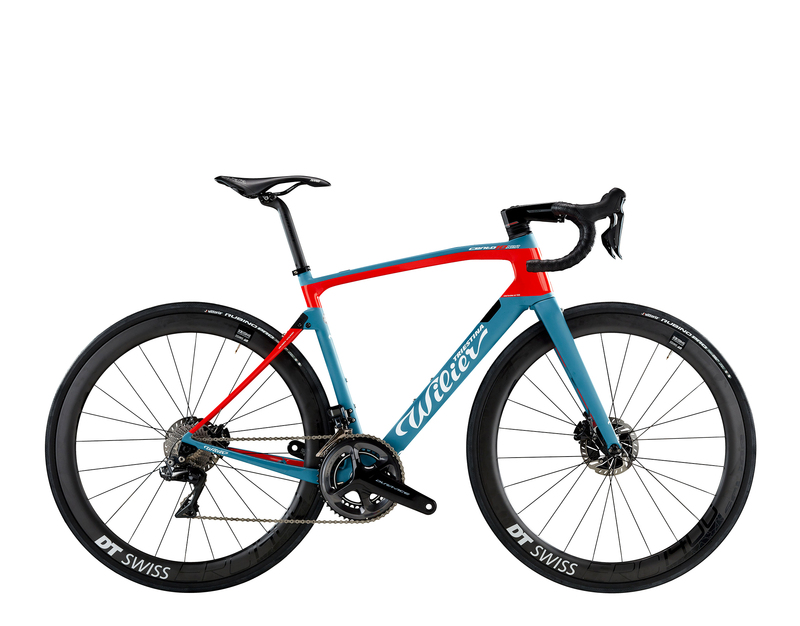 Wilier Triestina launched their version of a suspended road bike, with what they call an ACTIFLEX system (rear elastomer). We just got the PR along with this edit. It’s certainly sharp looking and with a suspension like the Pinarello. The Cento10NDR will be available in the United States as a complete bicycle, or frameset only. Full builds will be available with a Dura Ace Disc Mechanical groupset for $7999, and in an Ultegra Di2 Disc groupset for $7349. The frameset will retail for $3499. The full size run, from XS to XXL, will be available in the United States, starting in September 2017. The polymer insert works in tandem with the built-in flex of the carbon fibre chainstays. While the amount of movement at the chainstays is imperceptible to the naked eye, this flex is primarily responsible for the vibration damping, while the ACTIFLEX system controls both the compression and rebound of that flex to keep the suspension consistent in all conditions. I’ll parse that to mean, it dampens mostly and smooths out the big hits. But does it ride as well as the steel bike I adore?